You are here: Home / Small Groups / Make Your Bible Study More Effective – Take It Online! Using an online bible study can take your group to the next level in effectiveness. 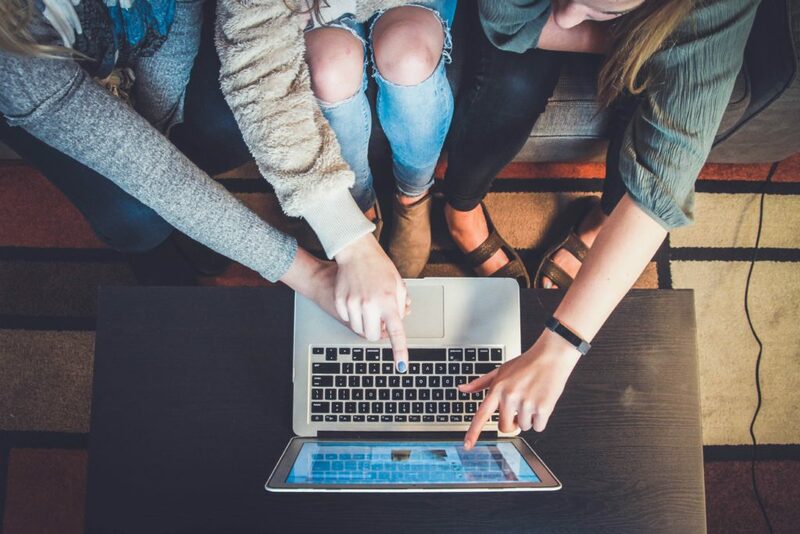 As your group learns to understand each other in new ways, having an online small group can cut back on some of the confusion that arises in a more traditional setting. This creates openness in the small group for all to share and be heard. Have you ever heard the phrase “communication is key”? If you’ve ever led or been a part of a small group of any amount of people, you’ve probably felt the effects of good and bad communication. Using an online small group tool can make all the difference when it comes to communicating well. Having a resource that allows each person to see each other’s responses – not just during the study but also throughout the week – gives your group a oneness that is difficult to cultivate offline. Additionally, being able to see where the study is going can also help with focus and understanding for the entire group. As your online small group progresses, there are those times when vacations and other life events get in the way of regular study. Having your group online can help keep everyone on the same page and keep the study moving forward. For those with friends in other countries or states, or even those who have extremely busy work schedules, having the option of a study online can help people stay connected and grow together. If someone wants to join in on a small group, but the group has already started, having all your progress in one place can allow the new member to catch up and then join in with the rest of the group smoothly. Physical space can also be a factor when it comes to using an online study. Your group may already be maxed out when it comes to your bible study meeting place, but turning interested members away because of space limitations is not something you want to do. Instead, have them join in on the study online so they can be involved in the study and discussion. Although your group may have great discussions, there are always those in the group that just don’t feel confident enough to get involved in the discussion. As your group starts out, it’s only natural to be a little timid, but as you continue to get to know each other and be a part of one another’s lives it becomes easier to have good communication. Difficulties can arise for naturally shy participants when it comes to answering questions, getting into the discussion, and following along, and consequently, a gap can form between those who talk and those who don’t. An online version of your study can come in handy as it enables you to help the introvert in your group answer and ask questions and become a part of the conversation. Effectiveness is always to be desired when teaching and discipling others – this is the reason we created StudyChurch as a tool for your group. We desire and strive for a better understanding of our Lord, and hope that as your small group continues to grow, so will your love and understanding of Him. If you’re interested in seeing how StudyChurch can help improve your teaching and discipleship, take a look at how the software works.